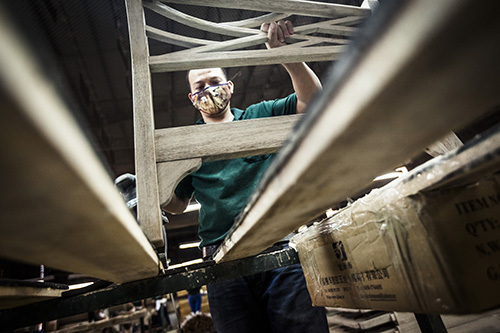 In recent decades, globalization has led to a rise in economic productivity and wealth, but it has also contributed to a dramatic increase in the power of large multinational corporations and concentrated wealth in fewer hands. At the same time, States’ power to regulate these business entities has eroded — and in some cases been voluntarily ceded in order to attract these businesses. This new global economic order has had a profound impact on workers’ ability to exercise their rights to freedom of peaceful assembly and of association. 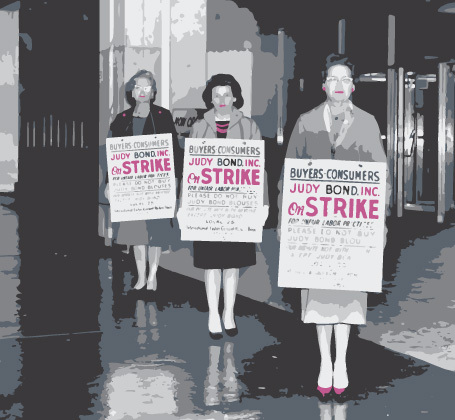 Labour’s traditional tools for asserting rights – trade unions, strikes, collective bargaining and so on – have been significantly weakened across the globe. The majority of the world’s workers find themselves excluded from national legal protective frameworks, while some are not even defined as “workers.” This situation has left vast swathes of the world’s labour force unable to exercise their fundamental rights to associate or assemble, and without access to remedies when their rights are violated. 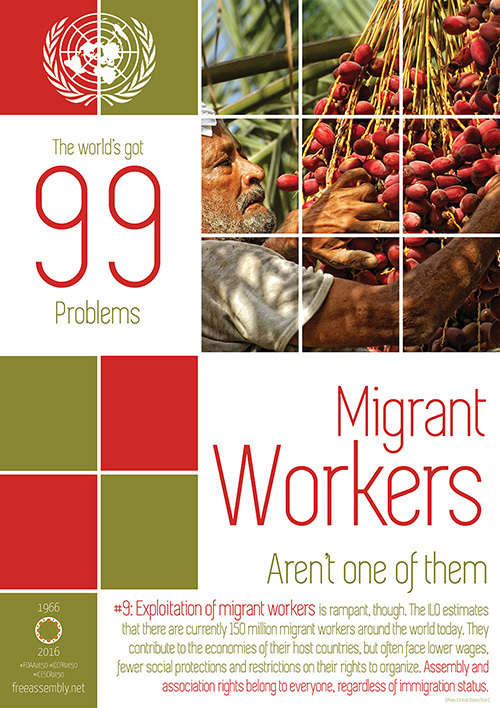 In this report, the Special Rapporteur examines how and why this has happened, focusing on the most marginalized portions of the world’s labour force, including global supply chain workers, informal workers, migrant workers, domestic workers and others. 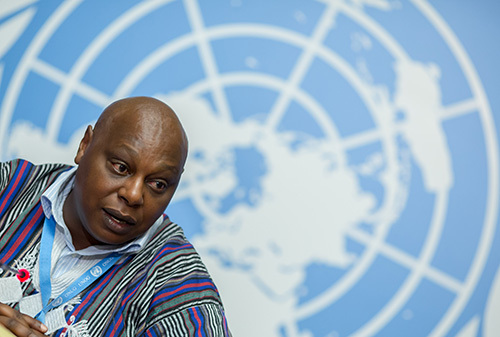 He finds that although States are obligated under international law to respect and promote workers’ rights to freedom of peaceful assembly and of association, many are dismally failing at this task. The implications this failure are grave. 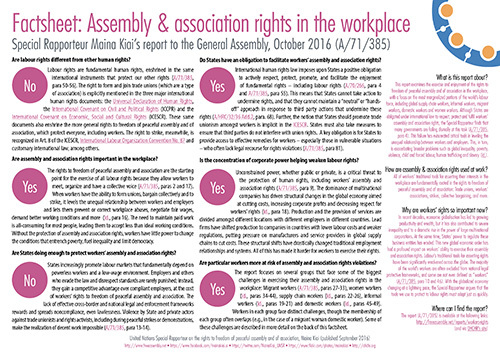 Assembly and association rights are a critical tool in leveling the unequal relationship between workers and employers, which in turn helps workers correct abuses and gain access to fair wages, safe working conditions and collective voice. 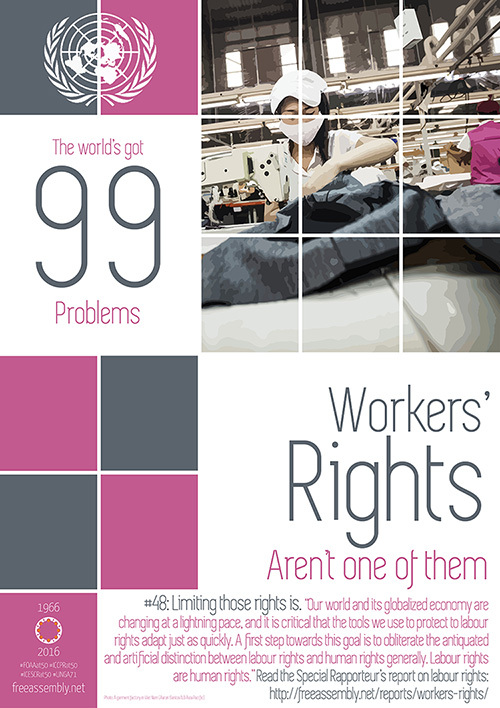 Poor enforcement of these rights in the workplace can also exacerbate global inequality, poverty, violence, child and forced labour, and directly contributes to problems such as human trafficking and slavery. 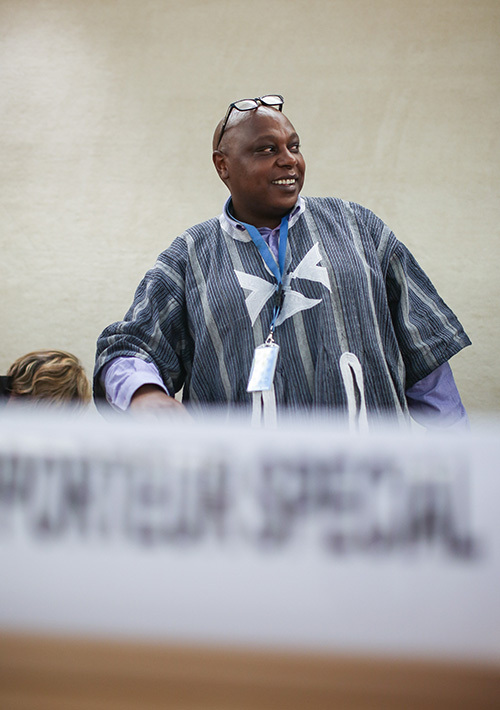 For this reason, the Special Rapporteur concludes that the trend of prioritizing economic and corporate interests at the expense of workers’ rights is not only a rights issue; it has the potential to undermine the viability of the world’s economic system. 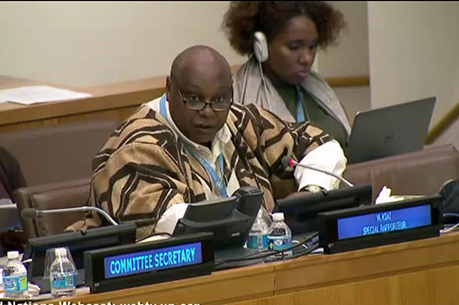 The report (A/71/385) was presented to the United Nations General Assembly during its 71st session on Oct. 20, 2016.